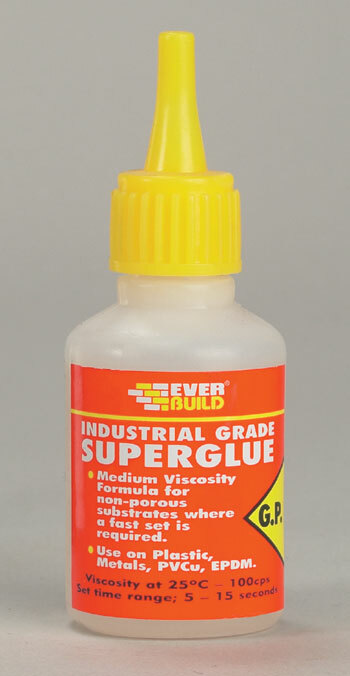 Everbuild - Medium viscosity formula fills gaps to 0.1mm. For use on perfect fit surfaces where fast set is required. Bonds non porous surfaces eg most plastics, metals, glass, PVCu, rubber and EPDM. Viscosity at 25�c - 100cps. Set time 5 to 15 seconds. Packed in self merchandising display boxes.